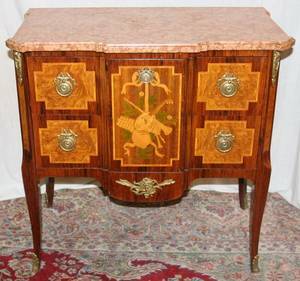 Large French Fruitwood & Marble Cabinet. 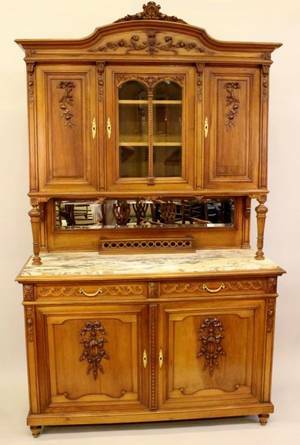 Carved fruitwood and white marble cabinet with foliate, wreath and swag decoration throughout. 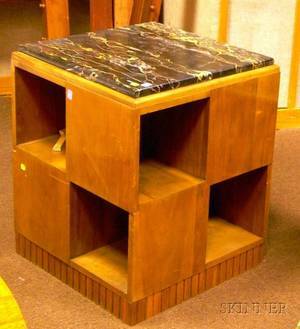 Horizontal beveled mirror separates top section from bottom. 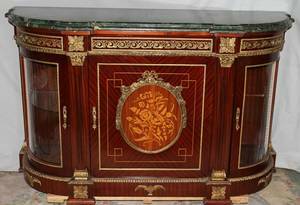 With three cabinet doors in top section--one with beveled glass and two wooden shelves within. 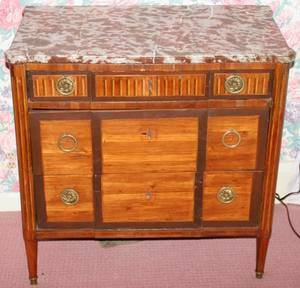 The lower portion with white marble top above two pull-out drawers at top with a two door open front to one large shelf within. 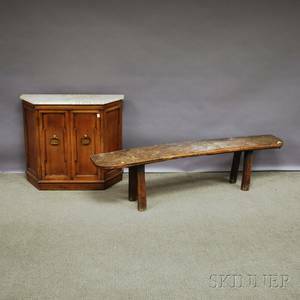 Archived auctions similar to Large French Fruitwood & Marble Cabinet. 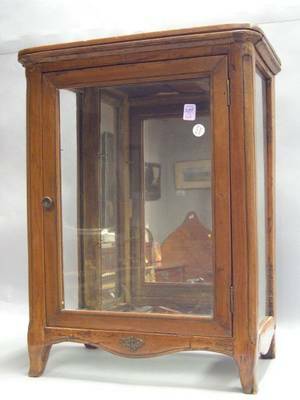 French Provincial Style Stained Fruitwood Display Cabinet. 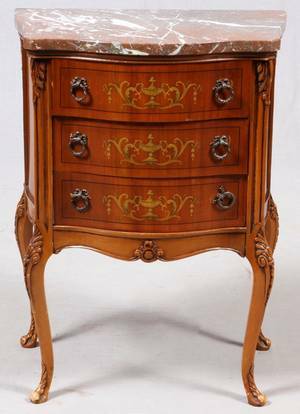 Small French Provincial Rococo-style Fruitwood Vitrine Cabinet.